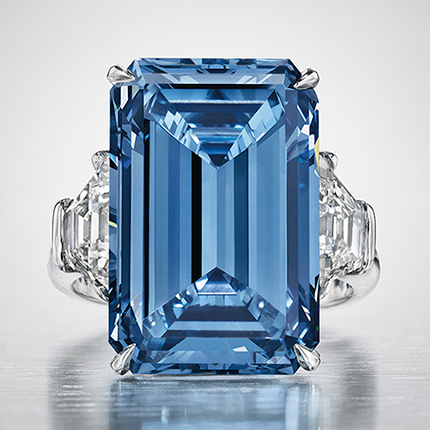 One of the largest Blue Diamonds to be presented at an auction ever, even bigger than the Blue Moon diamond (possibly owned by a 7-year old) was sold for a whooping price of $57.5 million dollars! Bidding for the ring started at $30 million & kept on creeping up, first by the millions & later by 500,000's to be finally sold to a buyer over the phone, for $57.5 million! The diamond is believed to be a VVS 1 clarity grade with a platinum mounting. The stone was earlier owned by Sir Philip Oppenheimer, former head of De-Beers!